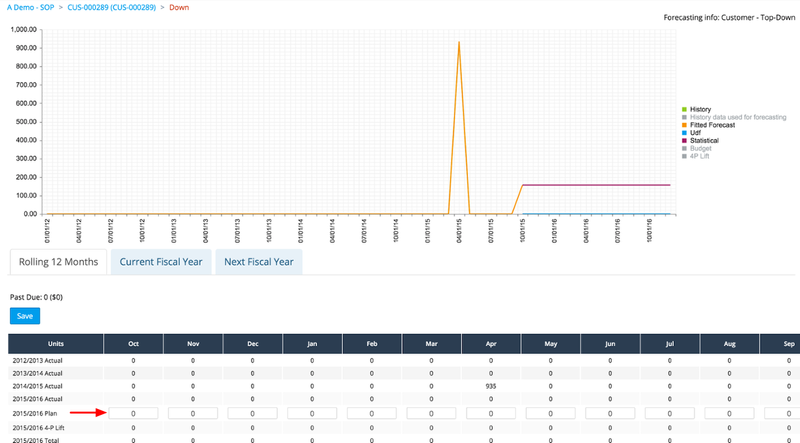 When it is determined that you have lost a customer, or a customer is no longer driving demand for one or more items, you should prevent DemandCaster from generating a forecast and supply plan for the item. The steps below, outline the process. 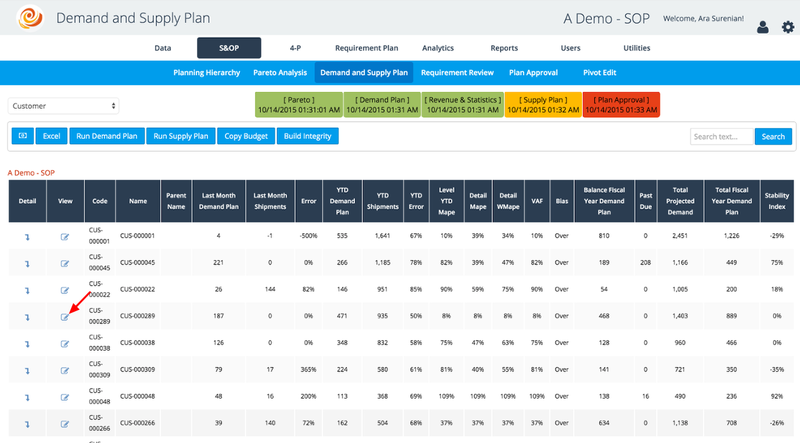 View the demand plan to see if a forecast is being generated for the customer. In the example below, a forecast of 156 units a month is being generated as a result of a single spike in demand. 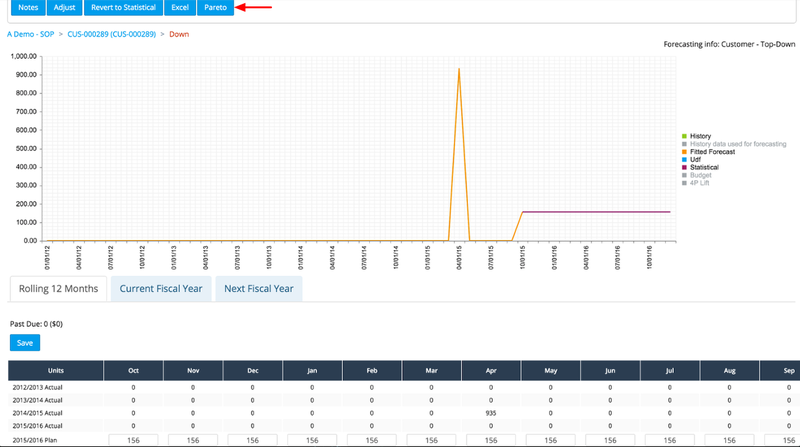 Click, the Pareto button to go to the Pareto view. In the example below, there are product categories above the item level. Clicking on the detail icon drills down to the items within the product category. If there is no level above the item, then the list of items sold to the customer will be immediately be shown. In the item detail, select the "select all" button to stop driving all the item forecasts for the customer. You may also select just a few items if only a few items will no longer be forecasted. The flag will change to No* to designate it will no longer be forecasted. The statistical forecast at customer will remain but the demand plan will be zeroed out since the items within the customer are no longer being forecasted. This upload file automatically turns off forecasting in demand planning as opposed to turning off manually in pareto as defined above. With each new upload the values are updated or loaded as new based on the customer code and item code relationship. To reverse a do not forecast, we upload the same file, but add a 1 to column C to designate that the setting should be reversed.